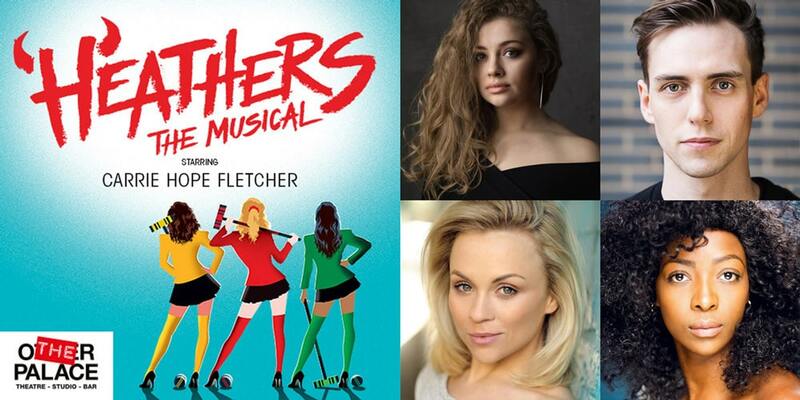 When Carrie Hope Fletcher takes to the stage as Veronica Sawyer in Heathers she will be joined by Jodie Steele as Chandler, Sophie Isaacs as McNamara and T’Shan Williams as Duke – The Heathers, with Jamie Muscato playing the mysterious teen rebel Jason Dean (JD). They will be joined by Chris Chung as Kurt Kelly, Dominic Anderson as Ram Sweeney, Jenny O’Leary as Martha Dunstock and Rebecca Lock as Mrs Fleming. Heathers – The Musical, the record breaking and most anticipated UK premiere this year, is opening at The Other Palace for a strictly limited run from 9 June to 4 August 2018.